The combination of sweet roasted apples and squash with herbs, walnuts, and brie cheese result in a hearty, sweet, and savory alternative filling to the typical meat and tomato sauce. 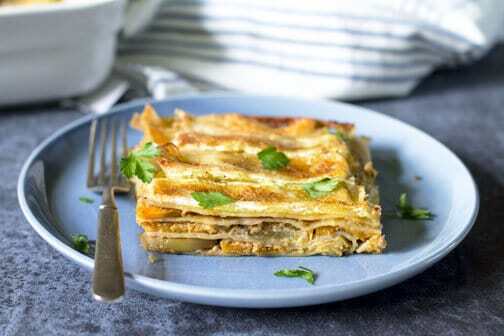 This autumn apple and butternut squash lasagna is a popular meal in Swiss, especially favored by vegetarians. I have to admit, although I love all the ingredients in this Swiss lasagna I didn’t think they would work together. But they do. The only thing I’d do differently is to remove the rind from the cheese. Usually, I don’t mind it because it is edible, however, it did not melt and it made the top of lasagna look kind of weird. Did you follow along our apple week? Five recipes in five days – my new personal best! Phew. This apple event was in collaboration with over 25 food bloggers, lead by my friend Carlee who did a marvelous job organizing and hosting. She had a huge task ensuring everything runs smoothly and on time while making herself available to our countless questions. And yet, she was super patient and kind. Carlee was also a liaison with our sponsors who provided those awesome giveaway prize packs (only three days left to enter!) 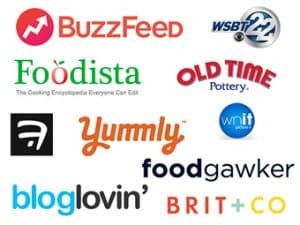 and samples and products for bloggers, so we could bring you over 100 delicious recipes. I believe you will never look at apples the same way, ha. Skip roasting the apples and squash but make sure the slices are really thin. Substitute brie cheese with mozzarella if you’re not a fan, although the flavor will be altered. Pumpking works greaet in this recipe too! Preheat oven to 425 F. Soak the noodles in warm water. Meanwhile, using a food processor, finely chop or ground walnuts; core and slice apples; peel and slice the squash. On a large baking sheet, spread the butternut squash and apple slices. Drizzle with olive oil. Place in the oven and roast for 10 minutes. Set aside. Lightly butter a 13×9-inch baking dish. Lay 3 noodles side by side. Drizzle ½ cup of sauce over the noodles. Put 1/3 of squash and 1/3 of apple slices on top. Sprinkle with ground nuts and plenty of parmesan. Repeat layering two more times, finishing with a layer of noodles. Top with brie cheese and drizzle the remaining sauce over the top. Loosely cover the dish with foil and bake until bubbly, about 30 minutes. I’ve been using this food processor for over six years and love it! A large baking sheet is not only good for baking cookies but roasting veggies too. Baking dish with lid makes your food last longer and also easily portable. 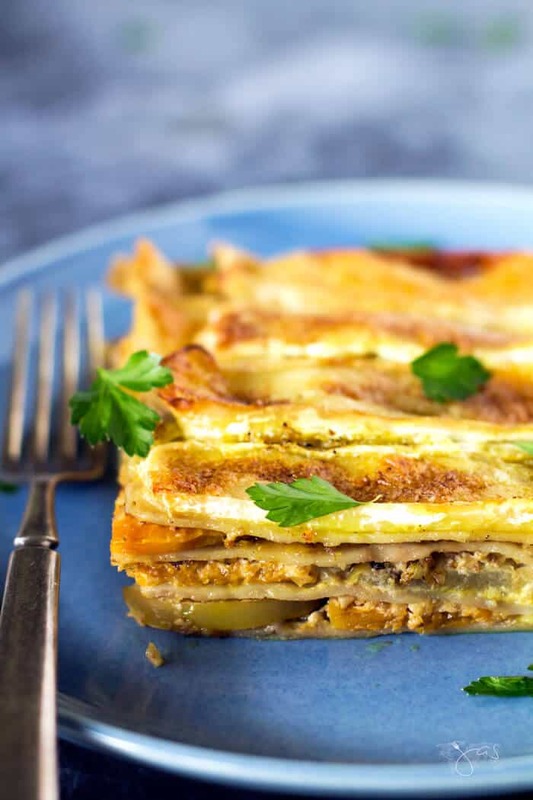 This apple and butternut squash lasagna recipe has a hearty, sweet, and savory alternative filling to the typical meat and tomato sauce. Lightly butter a 13x9-inch baking dish. Lay 3 noodles side by side. Drizzle ½ cup of sauce over the noodles. Put 1/3 of squash and 1/3 of apple slices on top. Sprinkle with ground nuts and plenty of parmesan. Repeat layering two more times, finishing with a layer of noodles. Top with brie cheese and drizzle the remaining sauce over the top. Skip roasting the apples and squash but make sure the slices are really thin. Substitute brie cheese with mozzarella if you're not a fan, although the flavor will be altered. Pumpkin works great in this recipe too! See this recipe featured on Finding Silver Pennies, Sew Historically, My Girlish Whims, Artsy Fartsy Mama, Little Miss Dexterous, A Pretty Fix, and The Cottage Market. So many delicious flavors with the brie, apples, butternut squash and walnuts. Perfect fall comfort food! I’ve enjoyed my world apple tour with you and what a way to end it! This looks like something I would love! 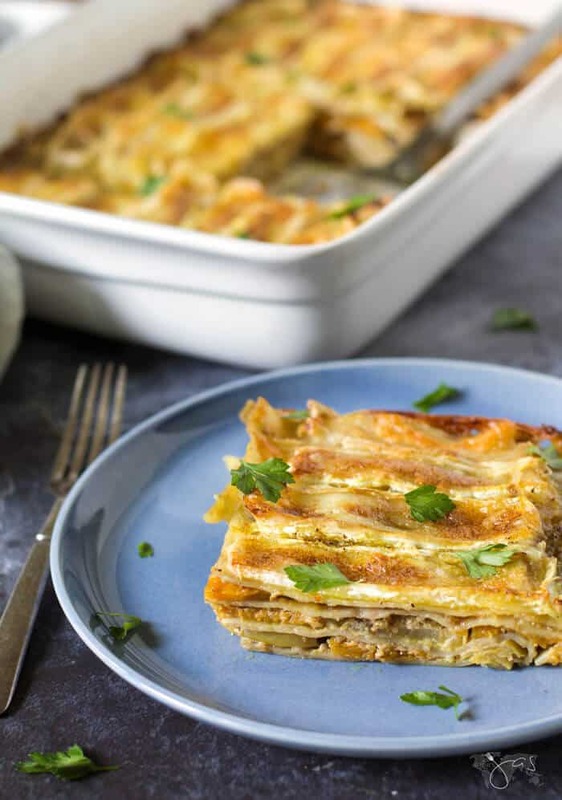 I would have never thought to combine apples and squash to make lasagna. Looks tasty! Thank you Jas for linking up at the #BloggingGrandmothersLinkParty. I shared your post on Facebook, Google+, Pinterest, and Twitter. They are made to go together, Dee! 😀 Thanks for sharing. Have a wonderful week! The flavor combo in this recipe sounds amazing! I can’t wait to try it! Hi, Nikki! The flavors are subtle. I’m sure you’ll like it! 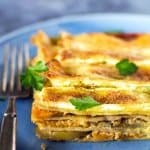 I think that I would love this better than traditional lasagna! Thank you for sharing! Wow, this sounds so amazing. I love the combination and can’t wait to try it. You always have the best recipes. This is so beautiful and I’m sure delicious as well! Thank you, it exceeded my expectations! This looks so good! I was not expecting the ground walnuts, but they sound like a perfect addition! They are a good addition, Alison! This could almost pass as a dessert, lol. YUM! Can I get a pan to go please! Pinned. omg this recipe sounds amazing! 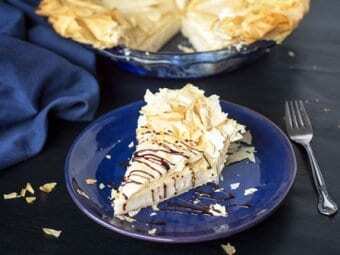 I love brie and am always wondering about new ways to use it! Yum! 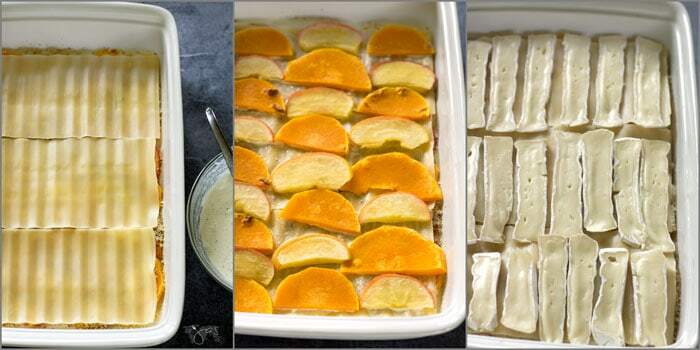 Your Apple and Butternut Squash Lasagna will be on my menu really soon! I really appreciate you sharing your awesome post and your talent with us at Full Plate Thursday. Thank makes me happy! Thanks so much! What an unusual combination: apples and squash! But I bet it’s delicious! Thanks for sharing it at Sew It Cook It Craft It! Hi Jas! Just wanted to let you know that I’m featuring your recipe at the Sweet Inspiration Link Party today! Hope you pop by again this weekend to link up. Take care! So glad I stumbled across your blog from the Traffic Jam Weekend Linky. That’s a combination I hadn’t thought of. Love it! Well…here are the results…We had to throw it all away it was so bad. I cooked it for 45 minutes and it still was not really done well. Here is what I would change…Be sure the veggies are cooked well, 10 minutes did not do it. Cook the sauce separately the wine in this did not cook off and overwhelmed it. I think a béchamel with wine would be better. The curry powder (which we like) did not work here. I would use rosemary, sage and thyme next time. The brie melted into pools of grease, I would use a little mozzarella instead. 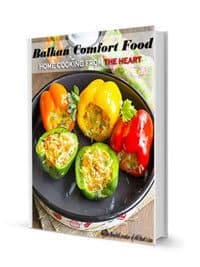 I followed the direction as well as have been cooking gourmet foods for 40 years so there it is. Sorry, but have to be honest. No need to apologize for your honesty. I appreciate it. But now I want to make this for you and change your mind, LOL.